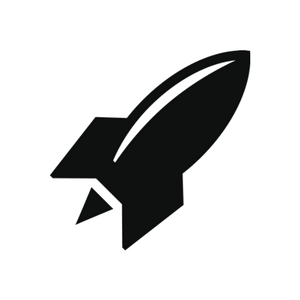 Earlier this year, RocketSpace announced a new Logistics Tech Accelerator program with Kaleido Logistics, Lufthansa Cargo, and Ingram Micro. The program is a first-of-its-kind opportunity for startups and corporates to come together and help one another bring their ideas to market, faster. "The current corporate accelerator model needs to be enhanced — first, by embracing open innovation," said Duncan Logan, Founder and CEO of RocketSpace in a recent interview. "This tech accelerator program will take advantage of our role at the intersection of startups and corporates, and an independent, non-traditional accelerator approach to foster coopetition within a rapidly-changing industry." Over the course of 13 weeks, eight disruptive logistics startups participated in a tailored curriculum. 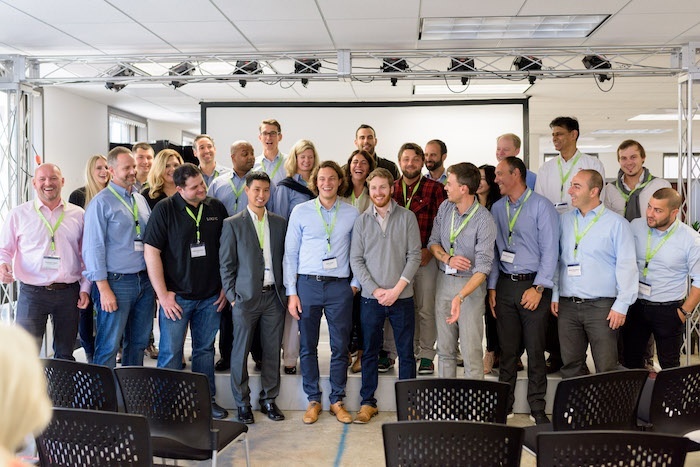 RocketSpace hosted corporate knowledge shares and workshops with industry experts. September 9 marked the completion of cohort 1. One of the biggest challenges that corporate innovation teams face is execution. Once your team commits to a great idea, how do you bring it to life? With so many potential directions to pursue, it can be tough to laser focus on just one milestone. The key is to identify a pilot—or series of pilots—that will enable you to start testing. For instance Skuchain, a company that develops blockchain-based products for B2B trade finance and supply chain finance, strategically looked at the pilot testing phase as an opportunity to focus on specific initiatives with corporate partners. Following on from Demo Day, Kaleido Logistics and Skuchain are now working together with a large Spanish bank to offer blockchain-based letters of credit for buyers and sellers across the logistics supply chain. In the global logistics space, returns on investment can take years to materialize. As a corporate innovation leader, you may be struggling to assign KPIs to your efforts and deem projects failures too quickly if you're measuring progress in terms of weeks instead of longer time periods. One of the biggest lessons that Newport Trade Services, a project management and process controls technology company, has learned from its partnership with Ingram Micro is to explore every initiative with an experimental mindset. Before "thinking big," it's important to validate a product idea. Does the market want it? Does it make sense for your core line of business? Sanity checks, early on, can save your organization significant headaches. As newcomers to their markets, startups may not always be in tune with the needs of enterprise organizations. On the flip side, your company may be looking for "enterprise-ready" solutions that do not always exist. Partnerships between startups and corporations require significant communication. The good news: If all parties have an open mind and commit to progress, innovation won't get stuck. All parties should focus on learning from one another. From self-driving cars to distribution and smart warehouses, the transportation and logistics world is in a state of evolution. Corporate teams have the resources and infrastructure to explore markets at scale. Startups have the ideas. Why not combine the best of both to explore new markets and product development efforts together? Both Lufthansa Cargo, a German cargo airline and subsidiary of Lufthansa, and Kaleido, a Spanish Logistics provider, invest heavily in long-term R&D, including in-house. But the two organizations knew they would need a new type of partnership model and support system to tap into Silicon Valley's unique ecosystem. The key was to develop a model that relied heavily on rapid experimentation and support from fellow corporate partners to reach new markets, faster. Some companies make disruption look easy. But often, behind-the-scenes, extensive R&D takes place before a launch can take place. Startups and corporations can accelerate this process by harnessing their strengths. 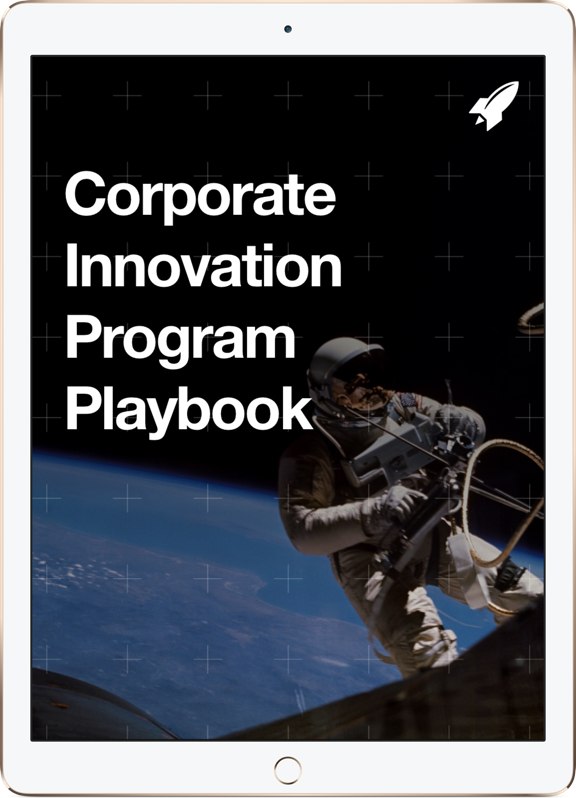 One of RocketSpace's guiding principles is that corporations and startups each have unique value to bring to a partnerships. Startups enable innovation. Corporations enable scalable, repeatable processes. Both sides of this equation are essential for successful innovation. Interested startups and corporations can learn more about qualifications for future cohorts of the Logistics Tech Accelerator here. Unlike traditional accelerator programs, startups are not required to give up equity to participate in the program.